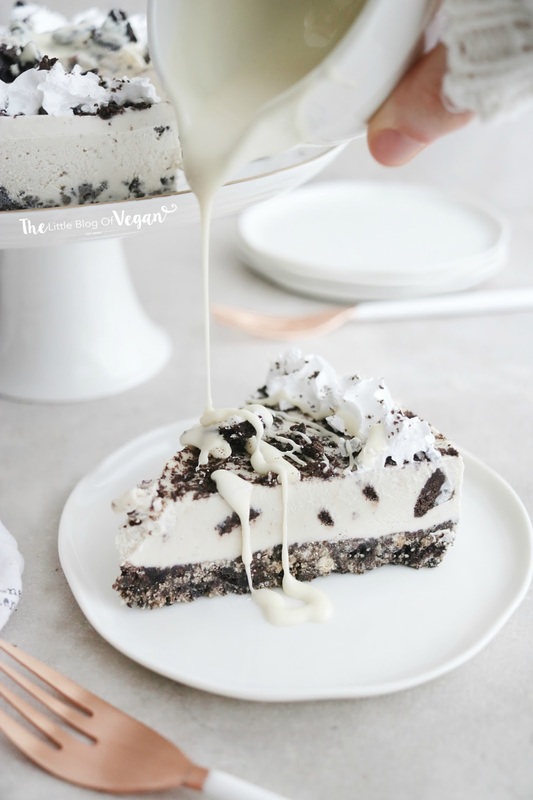 Who could say no to a cookie & cream cheesecake, especially when its 100% vegan? 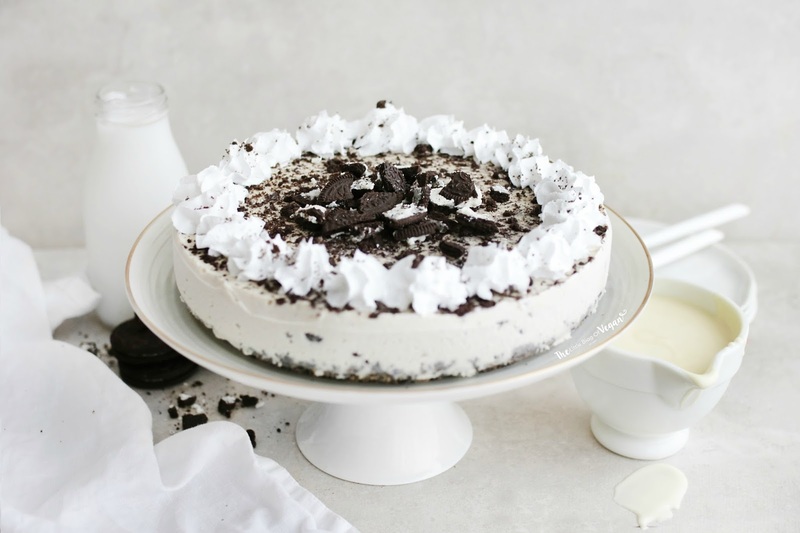 I am so happy to share this recipe with you guys, it's cheesecake perfection! 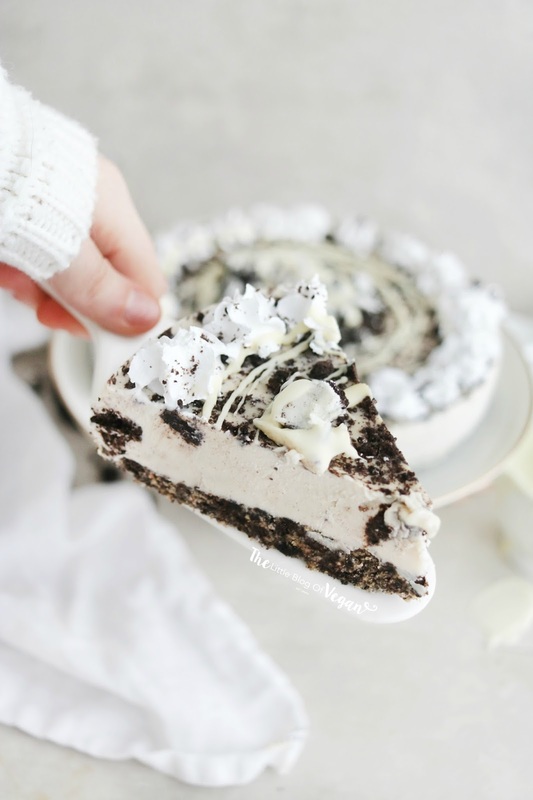 This no-bake cheesecake is super quick & easy to make and contains only a few 'easy to find' ingredients. 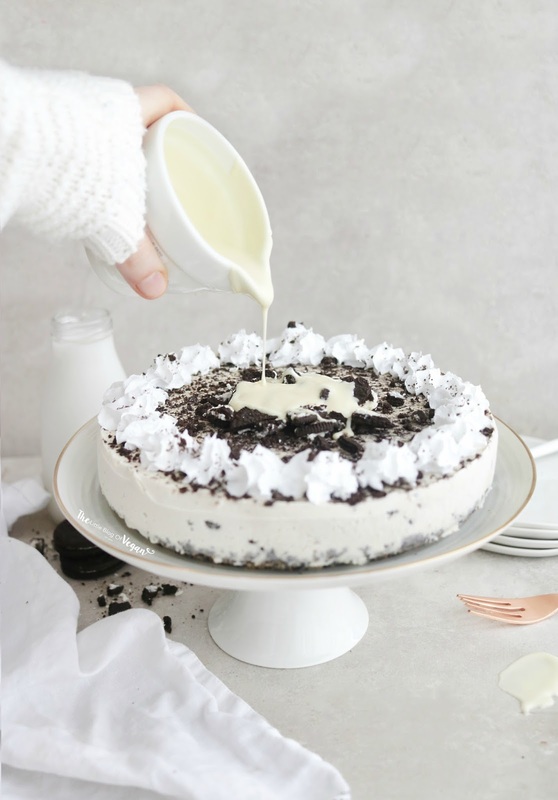 To make it lighter, I used coconut cream and soaked cashew nuts which give the perfect creamy filling for this indulgent cheesecake. I used my Kitchenaid artisan Power Plus Blender to whizz up the filling. I am so impressed with how smooth and creamy this blender blends food, especially the nuts! Highly recommend!!! 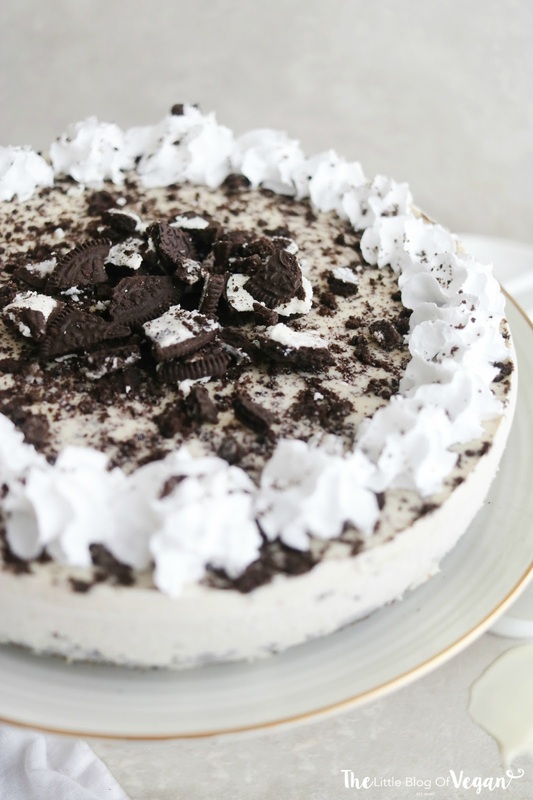 Cookies & cream are a match made in heaven and work beautifully in this decadent dessert. 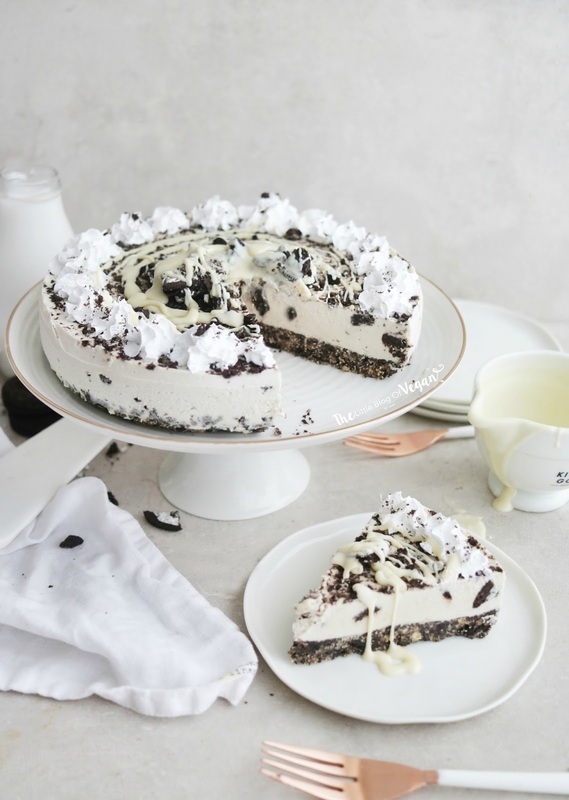 I'm a huge cheesecake fan and I have to say, this is probably the best no-bake cheesecake I've ever tried, it's scrumptious! You guys are going to love it! Step 1- Line a medium sized cake tin with greaseproof paper. Step 2- Place the cookies into a food processor/blender and whizz up until crumbly, but not too fine. Step 3- Melt the butter and coconut oil. Step 4- In a bowl, add in the crushed cookies and pour over the melted butter & coconut oil and mix until like wet sand. Step 5- Press the mixture into the lined cake tin, making sure to compact it in using a spoon or clean hands. Step 1- Drain the cashew nuts and place them into a food processor/blender along with the coconut cream, maple syrup, vanilla, melted coconut oil. Step 2- Whizz up on high for around 5 minutes until smooth. Add a splash of water if needed. Step 3- Fold in the crushed cookies until combined. Step 4- Pour the filling into the base, level with a spoon or off-set spatula, sprinkle over crushed cookies (optional) and pop back into the freezer to set. I served my cheesecake with coconut cream stars around the edge of the cheesecake and a drizzle of dairy-free white chocolate. It looks so good, and it was so easy to make! I have prepared one for my husband's birthday party. How long before serving do I need to take it out of the freezer? Hello, ahh thats amazing! Thankyou so much for choosing my recipe!!! Make sure to tag me in some photos on social media! Hi! When it says coconut cream do you mean the thick part in a tin of coconut milk or a pack of coconut cream? Thanks!